The Charlatans were an influential folk rock and psychedelic rock band that played a role in the development of the San Francisco Haight-Ashbury music scene during the 1960s. They are often cited by critics as being the first group to play in the style that became known as the San Francisco Sound. Exhibiting more pronounced jug band, country and blues influences than many bands from the same scene, the Charlatans' rebellious attitude and distinctive late 19th-century fashions exerted a strong influence on the Summer of Love in San Francisco. The band's recorded output was small. 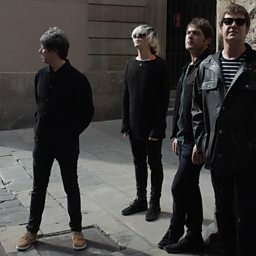 Following difficulties with various record labels, their only album, The Charlatans, was recorded and released by a reconstituted lineup (including two members of the original group) in 1969. Original drummer Dan Hicks went on to form Dan Hicks & His Hot Licks, a more commercially successful ensemble that amalgamated elements of country, folk and jazz in a predominantly acoustic setting.